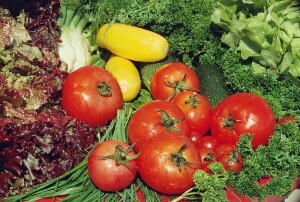 Have you been stocking or hoarding fruits and vegetables that are currently in season? 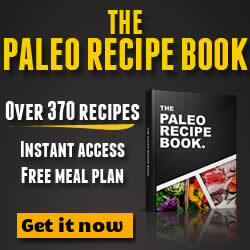 If you are embracing the Paleo diet with such gusto, chances are, you have been experimenting and trying out different recipes to showcase healthy and nutrient-packed meals. One of the common problems shared by many who are into the Paleo Diet is having too many produce and not consuming them in time before they rot and go to waste. Given the fact that organic vegetables and fruits do not exactly come cheap these days, you certainly don’t want your money and effort to go to waste. Wilted greens ad mushy fruits, while may still be consumed, they do not offer optimum nutrients that you want. And the fact that you have gone out of your way to adapt the Paleo diet, you certainly don’t want to short-change yourself with half-baked efforts. Do you have too much fruits in storage? Simply cut off the blemished areas then blend fruits to create healthy and filling smoothies. You can also cut them up into chunks and freeze them so you can enjoy smoothies during winter season. It’s a perfectly healthy snack or treat that you and the rest of your family can enjoy. Fruit leathers are basically best when it is made with ripe or even slightly overripe fruits. You can make them by pureeing the fruit or your favourite combination of fruits before you spread them out into thin layers on dehydrator trays to dry. If you are planning to make fruit leathers, keep in mind that there are certain types of fruits such as pear and apple that turn out best when it is pureed first. If you have a slow cooker, try to look up some great Paleo diet recipes online, particularly soups and stews. These are perfect options if you have vegetables that are slightly past their prime. Vegetables generally turn soft when they are roasted, which is perfect for vegetables that are a bit past their prime. You can roast any vegetable on its own or you can whip up a medley of colourful veggies. If the above-mentioned options are not exactly want you want, you can always freeze your fruits and vegetables to keep them from rotting. Make sure to trim off flaws and areas that are not edible such as the stem ends of tomatoes and cores of apples. You can simply throw them in Ziploc bags and chuck them in your freezer.